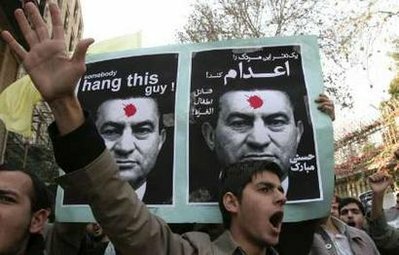 In the trial of former Egyptian President Hosni Mubarak, (83), the prosecutor demanded the death penalty. The same punishment he asked for the co-accused of Mubarak. The former president is on trial for involvement in the deaths of demonstrators protested against his regime.Monday, the process continues. The deposed leader on trial for his alleged involvement in orders that were given to shoot at the people during the protests in early 2011.Officially 846 killed and wounded and 6,000 wounded. The prosecutor called it mass murder and consequently demands the death penalty.